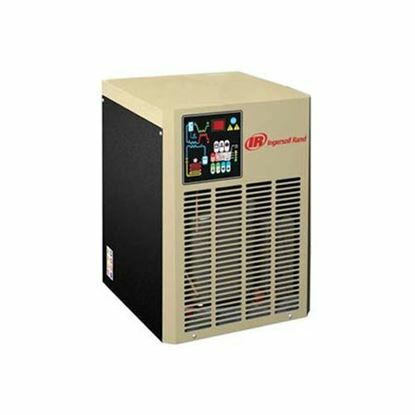 Ingersoll Rand Refrigerated Dryers make providing continuous dry air as easy as piping a self-contained unit into your compressed air supply line. Corrosion-resistant heat exchangers, an enhanced control-system and high-efficiency moisture-separation ensure a steady long-term supply of dry air. This virtually eliminates cost due to ruined product finishes, scrapped materials or replacement of pneumatic tools and manufacturing equipment destroyed by wet air. These small-footprint units provide complete, affordable solutions for applications ranging from dry cleaning to auto body shops, to light processing and manufacturing applications. And easy accessibility simplifies routine maintenance. Our dryers offer multiple design features to ensure a constant dew point at all load levels, and to deliver continuous dry-air performance that satisfies ISO7183 and CAGI ADF100 industry standards. The dryer's full function control with enhanced control parameters, diagnostics and alarms is more sophisticated and powerful than similarly sized competitive products. We also test every unit to ensure leak-free operation and compliance with operating specifications. Standard units are rated for 115°F (46°C) ambient air conditions and are suited for most applications. High-temperature models accommodate inlet air temperatures up to 200°F (94°C) and are ideal for use with compressors that do not include built-in Aftercoolers. Corrosion-resistant heat exchangers reduce air flow restrictions, providing more efficient throughput with less wasted energy. A built-in stainless steel demister efficiently removes all moisture. A fully adjustable programmable electronic drain valve helps minimize air loss. Reliable, fully hermetic compressors use environmentally friendly R134A refrigerant. Variable-speed fans reduce power consumption when units operate at less than maximum cooling capacity, while ensuring a consistent dew point. Microprocessor control with an easy-to-use graphic interface lets you adjust and manage system parameters easily and efficiently. Variable-speed fans reduce power consumption when units operate at less than maximum cooling capacity, while ensuring a consistent dew point. 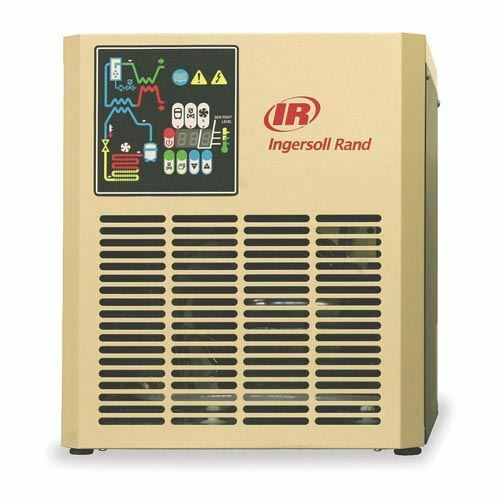 Reliable, fully hermetic compressors use environmentally friendly R134A refrigerant. A fully adjustable programmable electronic drain valve helps minimize air loss.